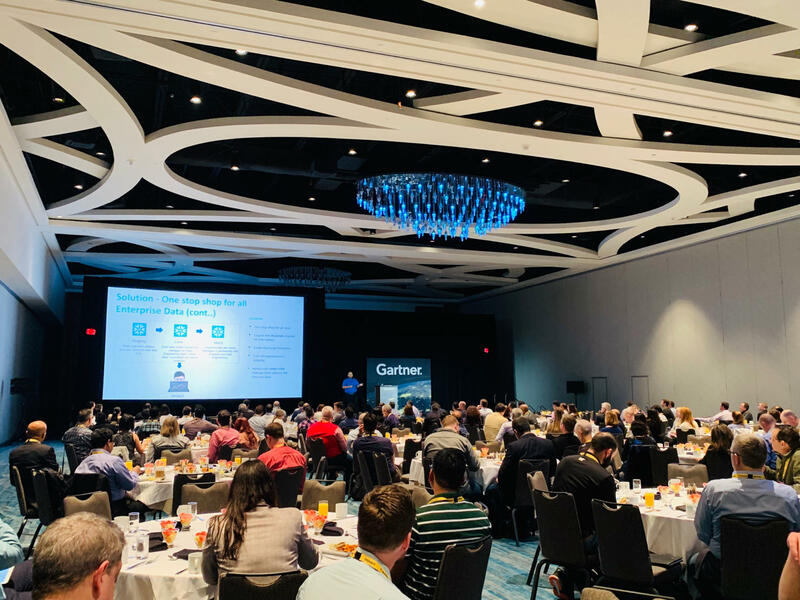 Metromile VP Sathish Koteshwar recently spoke at Gartner’s Data and Analytics conference in Orlando. 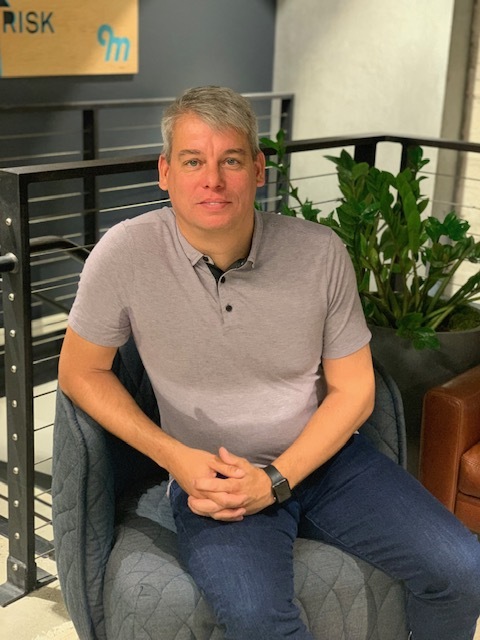 With several insurance-focused tracks and more than 4000 attendees, he came back even more pumped about what we’re doing at Metromile and our opportunity ahead. He shared some highlights with us. What piqued your interest at the conference? SK: For starters, I’d say Gartner’s own research struck the biggest chord. For example, Gartner predicts that by 2025 AI will become a requirement, not a competitive advantage. It made me realize we have a huge leg up at Metromile. 4) Cutting-edge technology and platform. It’s exciting to be so far ahead on these fundamentals when others are just getting started. Why are other insurers lagging? SK: The concept of telematics is new for many insurance providers and they are still figuring out how to incorporate it in their business models. It’s harder for insurers to pivot – given the size of their organizations, their complex hybrid infrastructure and lack of driving data around their policy holders. Their model is so different than ours, since we’ve built the very core of its business model around telematics. What was the biggest takeaway on the claims front? How about in the area of fraud? SK: Insurers are spending a lot of money on fraud detection — but they’re doing it with an army of humans trying to manually track it down, because they don’t have big, high quality data sets. Hearing that gave me an even greater appreciation for the fact that thanks our Pulse device we have 100% continuous telematics across all of our policy holders. This data — a 100% footprint of driving / behavior data — prevents so much fraud from happening in the first place; and if it does occur, we’re able to quickly root it out. This further enables us to pass these savings to our customers and offer really competitive pricing on auto insurance. Were there many insurers like us, who are 100% in the cloud? What are the data and analytics themes that emerged for 2019? Build quality algorithms through improved data science. Build strength through more / better data (eg, IoT). Given our work at Metromile, I wasn’t surprised by these themes, but they reinforced for me that we’re focused in all of the right areas. SK: Getting back to work! I’m even more excited about our future here at Metromile. Our big head start is a huge competitive advantage, and it’s definitely going to help us win market share. The Gartner conference helped drive a new level of understanding and purpose in my team’s work, our strategy, and how we will help Metromile revolutionize insurance. Metromile will enable customers who are federal employees currently affected by the shutdown to pause auto payments on their current insurance bill for as long as the shutdown persists. It’s hard to believe that 2019 is right around the corner. If you’re anything like us, you’ve still got a to-do list longer than your arm before you can slap up the ol’ OOO reply on your email. All to-dos aside, however, 2018 was a big year for us here at Metromile! With the introduction of our AI crash-testing system, and the announcement of our latest round of funding, we’re proud of all our accomplishments this year. None of them would’ve been possible without the support of our Metromile fam, and for you, we are eternally grateful. Let’s take a look at 2018 by the numbers, shall we? According to the U.S. Department of Transportation Federal Highway Administration, the average American drives 13,476 miles each year. Metromile customers in major cities drive an average of 6,000 miles each year, less than half of the national average! In 2018, Metromilers in big cities across the country averaged 5,599 miles. Which city drove the least? Check out our ranking below! Portland, OR – 4,315 miles: Topping our list for the second year in a row, our Portland Metromilers are making us proud. In 2018, they drove 204 fewer miles than in 2017, and 1,405 fewer than in 2016. Keep outdoing yourselves, Portlandians! We’ll be here cheering you on. Chicago – 4,702 miles: Sliding into second place, Chicago Metromilers drove 1,234 fewer miles in 2018 than in 2017. Well done, Chicagoans! Seattle/Tacoma – 4,879 miles: Coming in for the bronze medal, Seattle-ites drove 248 fewer miles in 2018 than in 2017 – and almost 2k fewer miles than our LA Metromilers! Sacramento/Stockton/Modesto – 5,234 miles: The Sacramento metropolitan area is new to the list this year, with a modest(o) 5k miles driven. Nice work! San Francisco/Oakland/San Jose – 5,923 miles: Our little City by the Bay ekes out a lower ranking this year, driving 131 fewer miles in 2018 than in 2017. Philadelphia – 5,789 miles: Philly moves up the list this year, with 540 fewer miles driven in 2018. Woo-hoo! San Diego – 6,612 miles: San Diego took the last spot in 2017, so we’re excited to see that they are moving up our list and drove over 1k fewer miles in 2018! Los Angeles – 6,869 miles: With a city as large as Los Angeles, it’s no surprise to see it taking the last spot on our list, with the most miles driven in 2018. Through and through, Metromilers prove that cars are best for weekend use. The most popular day of the week to drive for Metromilers is Friday. Our low-mileage drivers like to get out and do stuff on the weekends and we love seeing their travels on Instagram. Going somewhere cool soon? Don’t forget to tag us (@metromile) and/or #Metromile. Raise your hand if you drive a Honda or Toyota. We knew it wasn’t just us. Interestingly, this is the exact same list as 2017! Metromilers are very consistent. Additionally, the most popular car in 2018 for the top 10 Metromile accounts is the Honda Civic. The most popular day to drive was November 30th, 2018. However, with every passing Friday, we get closer to surpassing that all-time high! Some other interesting stats to note. Because who doesn’t love some fun stats? Here at Metromile, we handle thousands of claims every year. Curious what the percentage breakdown is for the different kinds of claims filed in 2018? Don’t worry, we did the math for you. If we take roadside/glass repair claims out of the equation, rear-end collisions were the most common type of claim processed by Metromile claims specialists in 2018. Curious about the performance from past years? Check out our year-end reviews for 2017 and 2016. 2018 has been an amazing year for us here at Metromile, and we are looking forward to offering our customers even more awesome perks in 2019. 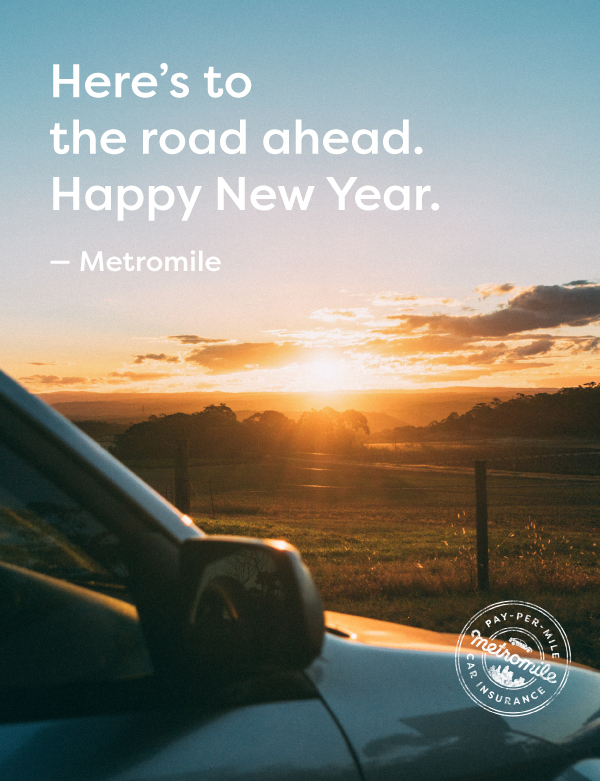 If you aren’t already part of the Metromile fam, get a quick quote to see how much you could save with pay-per-mile insurance in 2019. From all of us here at Metromile: happy holidays and see you in the New Year! We have some pretty exciting news to announce today, Metromilers. Our very own Carrie Dolan has been named 2018’s “Most Influential Woman in Business” by the San Francisco Business Times. We’ve always known how inspirational of a woman Carrie was, and we are thrilled to see her recognized for her (many) accomplishments. At Metromile, Carrie is leading the next phase of company growth, disrupting the insurance industry with pay-per-mile auto insurance and seeing first hand how an innovative financial services model that leverages technology and data can translate into a better experience for consumers. As CFO, she is responsible for overseeing accounting, financial planning and analysis, treasury, actuary services, and investor relations. Carrie’s leadership impact extends outside of her team. She makes herself available to everyone in the company and works to improve communication and teamwork across the company. She also works to help everyone with finding their own career path and pushing us all to take more risks. In addition to her role as CFO, Carrie is committed to serving her community and supporting the advancement of women. In honor of her win, we wanted to share some of the things Carrie has done that inspire us everyday. Carrie has decades of financial experience and a proven track record of scaling high-growth consumer brands, like Chevron, Charles Schwab, and Lending Club. Currently, Carrie is our CFO, responsible for overseeing accounting, financial planning and analysis, treasury, actuary services and investor relations. In addition to her professional successes, Carrie has received several industry accolades for her leadership and the impact she has made across the financial industry. 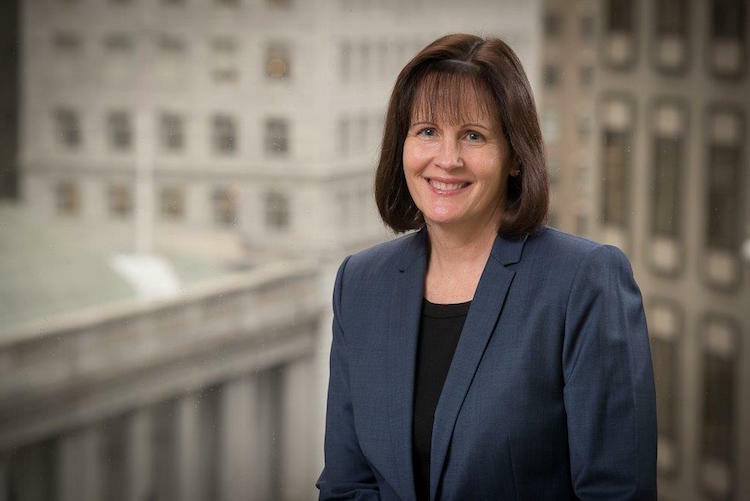 In 2015, American Banker honored her as one of “The Most Powerful Women in Finance.” During the same year, The Financial Women of San Francisco named Carrie the “Financial Woman of the Year” for her remarkable commitment to her profession, service to her community, and support for the advancement of women. In 2013, the San Francisco Business Times awarded Carrie the Bay Area CFO of the Year for Emerging Companies. We hope you’ll join us in congratulating Carrie on her win. Who are some other women who have inspired you? Interested in joining the Metromile team? Check out our jobs board. We’re Metromile, America’s leading pay-per-mile car insurance company. We want to talk about something really important to most Americans — Super Bowl commercials. After 29 years of ranking Super Bowl ads, we believe it’s time for the National media to recognize ALL commercials airing during the big game, no matter if they are national or local. Since we don’t have $5,000,000,000 to spend on a 30-second national ad spot, we’re running our spot in Portland, OR – the birthplace of pay-per-mile car insurance and home to our first customer. Our pay-per-mile model is revolutionizing the insurance industry by offering affordable car insurance, transparent pricing based on the miles driven, data to optimize car use, and instant access to detailed vehicle diagnostics. We’re making car insurance easier and more accessible than ever before. Here’s our ask: Create a “Local Ad Ranking” and conduct Super Bowl ranking surveys for all the local-level ads. Leverage social media and local newspapers under each of your networks. Build some buzz with local advertisers across the country. Everybody wins. To get you started, we wanted to share “Dear Portland,” our 60 second spot that’s scheduled to run in the last spot before halftime. We’d be happy to answer any questions you have about our ad or Metromile. Just let us know and we’ll set it up. 2017 was an exciting year for us here at Metromile. And as we continue to grow, we wanted to share some of the milestones we’ve hit along the way, with the help of our fiercely loyal customers. This year our customers hit the billion mile marker, meaning since our inception in 2013 our customer have driven one Billion Miles. That’s a lot of road, and we are proud to have been there with them every step of the way. In 2017, we also launched the world’s best claims experience, powered by AVA our AI smart claims system. AVA makes filing a claim, picking a repair shop, getting a rental car, and getting reimbursed a breeze. Through and through, Metromilers prove that cars are best for weekend use. Besides Chicago,(where Sunday is the most popular day to drive) all major Metromile covered cities drive the most on Saturdays. Once again the day before Thanksgiving (this year, November 22, 2017) was the most popular day to drive. The Honda Civic is the most common car in Portland, Seattle, Philadelphia, Chicago, San Francisco and Los Angeles. Interestingly enough the most common car in San Diego (where our drivers drive the most) is the Toyota Corolla. We don’t just save our customers money on insurance, we save them from pesky street sweeping tickets too. 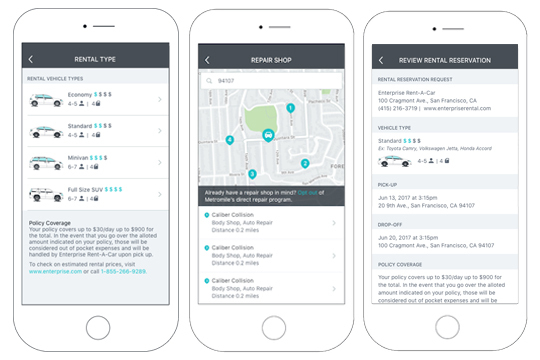 Our smart driving app offers street sweeping alerts (in select cities) that saved our customers $600,000 in 2017. That’s a lot of dough. What a year 2017 has been, thanks so much to everyone who took us along for the ride. 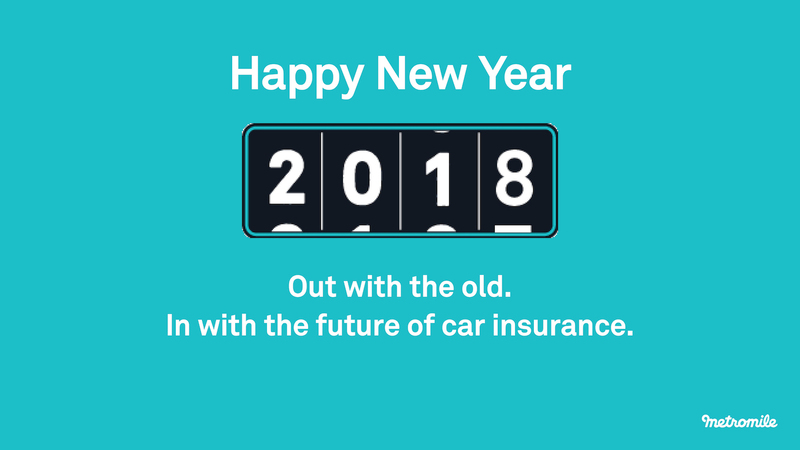 We are looking forward to offering our customers even more awesome features that make their lives easier in 2018. If you aren’t already a customer, get a quick quote to see how much you could benefit from pay-per-mile insurance this year! Metromile’s automated claims system, AVA, has some exciting new feature enhancements that are going to make filing a claim with us even easier. Getting into an accident is never fun, that is why we’ve made it our priority here at Metromile to create the world’s best claims experience. Our latest effort to transform the claims experience has resulted in the new self-service direct repair and rental capabilities for our customers. AVA, who we debuted in July, is a first-of-its-kind smart claims system designed to speed up the process of verifying and paying out insurance claims through the Metromile mobile app or online dashboard. Using Metromile Pulse sensor data, AVA can reconstruct the scene of an accident to verify claim details. If the claim is verified, AVA is able to automatically approve payments within seconds. And now, AVA can even assist in finding repair shops, scheduling rental cars, and setting up and processing claims payments. You can learn more about AVA here. Eligible policyholders who have submitted a claim and indicated that they are planning to repair their vehicle will be directed to the Metromile Dashboard to see repair shops that are participating in the direct repair program and are located near the zip code of the vehicle’s last location. If the policyholder also has rental coverage they will be given the option to reserve a rental car with Enterprise-Rent-A-Car through the Metromile online dashboard. Just like with the direct repair program, the Dashboard will provide policyholders with locations near the vehicle’s last location. Policyholders can even gain access to and schedule an Enterprise shuttle for pick-up from the repair shop or another specified address. If the policyholder would rather find and choose their own repair and/or rental shop, they are welcome to do so by opting-out of the program. 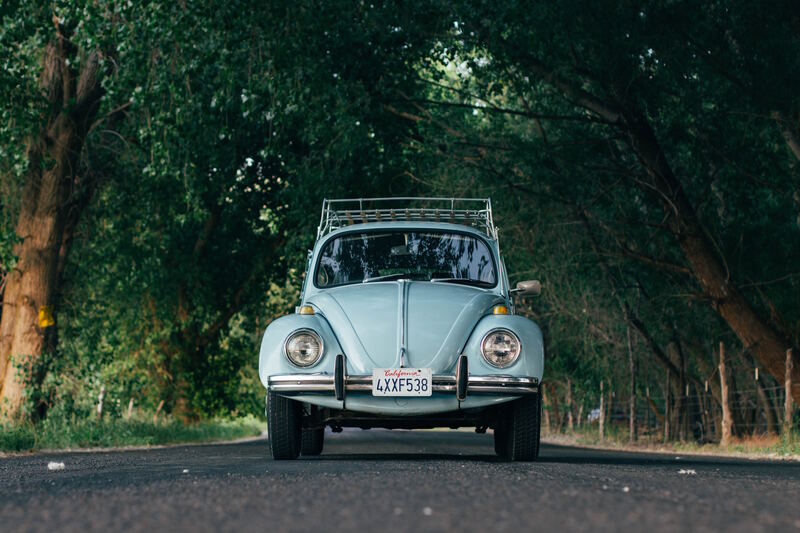 Once a vehicle is in the shop and a rental car has been picked up, AVA will keep customers posted on repair status, schedule changes, and even help change the rental reservation if needed. As soon as the vehicle has been repaired and returned to the customer, AVA will automatically initiate payment. Even with AVA, all customers will have the option to call in to talk to our in-house team of claims professionals. Not yet a Metromile customer but intrigued by AVA and our automated claims? Visit metromile.com/insurance to learn more about our pay-per-mile insurance and get a quick quote. 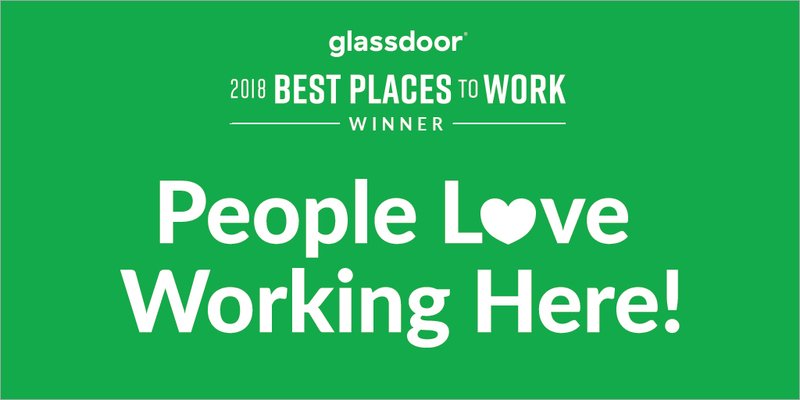 Metromile is pleased to announce we are among the winners of the annual Glassdoor Employees’ Choice Awards, a list of the Best Places to Work in 2018. This is the second year in a row that Metromile has been recognized as a Best Place to Work, and we are honored to be listed again. Unlike other awards, there was no self-nomination process, instead it’s entirely based on feedback our employees have voluntarily and anonymously shared on Glassdoor. To determine the winners of the awards, Glassdoor evaluates all company reviews shared by employees over the past year. This year, we are proud to be recognized as a Best Place to Work among companies with less than 1,000 employees according to those based in the U.S. The work culture is amazing. I’m still excited to come into work everyday. The managers in my department have the best interest for us and push/challenge us to be at our full potential. A huge thank you goes out to all our employees who took the time to share their perspectives on what it’s like to work here. We appreciate all the valuable feedback as it only helps us to improve. This post originally appeared on The Digital Insurer. It was written by Rick Huckstep, Chairman, The Digital Insurer. Rick is an InsurTech thought leader, keynote speaker, advisor and investor to tech start-ups. Not yet a Metromile customer? Visit metromile.com/insurance to learn more about our pay-per-mile insurance and get a quick quote. Imagine a world where the insured has a continuous digital engagement with their insurer. Where the “insurance product” is a value add service that offers more than just financial protection. In this world, the insurance brand becomes “sticky” and churn becomes a function of product development, not promotional pricing. In fact, price is no longer the only buying criteria. This is the world of Metromile, the pioneers of digital engagement insurance. To find out more for InsurTech Insights, Rick Huckstep spoke with Dan Preston, the CEO of pay-per-mile auto insurer, Metromile. Metromile were ahead of their time when it comes to digital engagement. This is the world of insurance protection where customers buy insurance cover because of the on-going value it provides, not just because of the price it is offered at. In recent times, the buying of insurance has become associated with searching for the cheapest price. Online buying guides advise customers to always shop around for the best price and never auto-renew. Even the Regulators force statements on renewal notices to advise customers to shop around. This is commoditization in all its glory! Which is good for consumers, right? Maybe at the point of sale, but when insurance is sold below premium, it means someone else is paying for it. Until renewal time, when premiums are increased significantly. All this does is irritate the customer, further diminish trust in insurance and cause the customer to start all over again looking for a new insurer! What a waste of time and effort for everyone! The big problem in any price-only driven market is that cost of sale is a killer. Price points only ever go down, sales and marketing costs don’t (not at the same pace anyway), and this continually squeezes the whole supply chain. In the intermediated world of personal lines insurance, the addition of friction and inefficiency simply compound the cost (and margin) issue for insurers. No matter how hard the insurer tries to build and promote a trusted brand, the uncertainty of premium pricing always undermines it. The building of brand loyalty takes time and insurers don’t hang on to customers long enough to do so. For traditional insurers, their only opportunity to show value is through the claims experience. However, all too often, the insurer fails to seize the day and ends up disappointing the customer. And yet customer feedback clearly shows they want more in the way of value. And are willing to pay for it! The advances in digital technology in the last decade have given insurers the means by which they can create “sticky” insurance products. Once they’ve “won” a customer, they can now hang on to them. They use enabling tech such as telematics, mobile apps, wearables, IoT devices to create ways of connecting and engaging with customers continuously. The adoption of this enabling technology gives insurers the ability to dynamically improve risk ratings, to personalize premiums and adjust policy conditions on an ongoing basis. The traditional approach of a single, point in time questionnaire can be replaced by an ongoing assessment and review approach enabled by these new technologies. As a result, we’ve seen the introduction of digital engagement products based on new sources of data, personalized to the specific risk conditions of the customer. These new technologies enable insurers to radically shift from being the provider of an enforced product to a provider of a value added service. Great examples in Life and Health are Vitality and Oscar along with InsurTech platforms such as Fitsense and Sureify. Here, wearable devices combined with mobile apps enable digital engagement with the insurance brand to promote a healthy lifestyle. In so doing, the app becomes a lifestyle product, part of the customer’s daily routine. This makes it a lot harder to churn come renewal time. In Home, the adoption of IoT devices has done more than (just) create a means for digital engagement. The IoT enabled smart home moves the insurer into the Loss Prevention space. Now, insurers can build insurance products that are focused on preventing the loss altogether. Prevention is always better than cure, right!? Metromile represents everything that defines #InsurTech as we know it today, and yet they pre-date the social media tag by half a decade! Metromile is a 7-year-old U.S. auto insurer I first wrote about back in 2015. Their business model is based on a pay-per-mile insurance product which they then wrap with other services to enhance the car ownership experience for their customers. To enable continuous customer engagement, Metromile use tech in the form of the Metromile Pulse (a device that plugs into the car’s on board diagnostic port) and a smart driving app on the customer’s mobile. They recently announced Series C and D investment rounds that took the total money raised to $205m. It’s an impressive sum that puts them in the InsurTech fundraising upper quartile. The thing that struck me about Metromile is that they don’t say anything about “insurance” when they describe what they do. Here’s what they say “About Us” on their website. At Metromile, our mission is to empower drivers by creating a more connected and informed car ownership experience. By taking our deep understanding of data and transforming it into information and services that make having a car less expensive, more convenient, and smarter, we aim to make the urban car experience as simple as it can be. And for some, we hope to make car ownership a possibility where it wasn’t before. They’ve literally taken an insurance product and turned it into a lifestyle product! When it comes to auto insurance, the main risk factor is how often drivers are on the road. If you’re not on the road then factors such as claims history, driving behavior or condition of car, are insignificant. In the case of auto, this means those that don’t drive very much subsidize the higher mileage drivers. This is because traditional auto insurance products take a blunt instrument approach to assessing driving time. Metromile say that customers can save on average $500/year on auto insurance (which is roughly 40-50% of the typical cost of insurance). You will see something similar in the UK from Cuvva. They claim their Pay-as-you-Drive insurance can save drivers up to 70% of traditional insurance premiums. 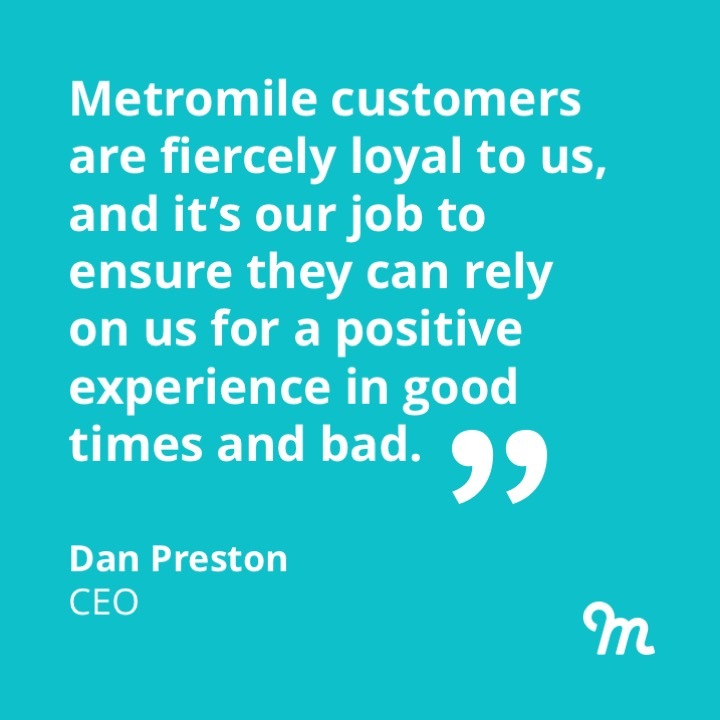 In a recent call I had with CEO Dan Preston, I asked him about digital engagement and the Metromile model. He told me, “There are typically 3 interactions the insurer has with their customers. When they sell a policy, when they renew and when they receive a claim. There’s nothing in those interactions that adds value. Even the claims process is so full of friction that it becomes an unpleasant experience for the customer. It’s the place where NPS goes to die! Here’s the thing that Metromile figured out early (and earlier than most). By creating value over and above the insurance product, they create value that EVERY Metromile customer benefits from, not just those that might go through a successful claims experience. Dan explained, “We set out to build Metromile into more than just an insurance business. We wanted to help our customers manage the cost of running a car. This includes everything from maintenance and regular servicing, to parking and speeding tickets. As Metromile moved into new jurisdictions, they found that the data they wanted and needed to support the value-add services in the app were not always universally available. This is the real point of digital engagement – creating a win-win. The customer gets value from the digital engagement with a lifestyle product (and tangible benefits such as less parking fees!). And insurers see less churn, better (risk) data about customers and a greater sense of loyalty/connection/trust. This is where behavioral economics kick in. It is this sense of trust and loyalty that directly links to lower levels of claims fraud and embellishment. None of this would be possible in a traditional auto insurance product. Metromile has exploited technology to enable this digital engagement. The key is the Metromile Pulse; a dongle that customers plug into their car to read the on-board telematics data and connects to the mobile phone and the Metromile app. 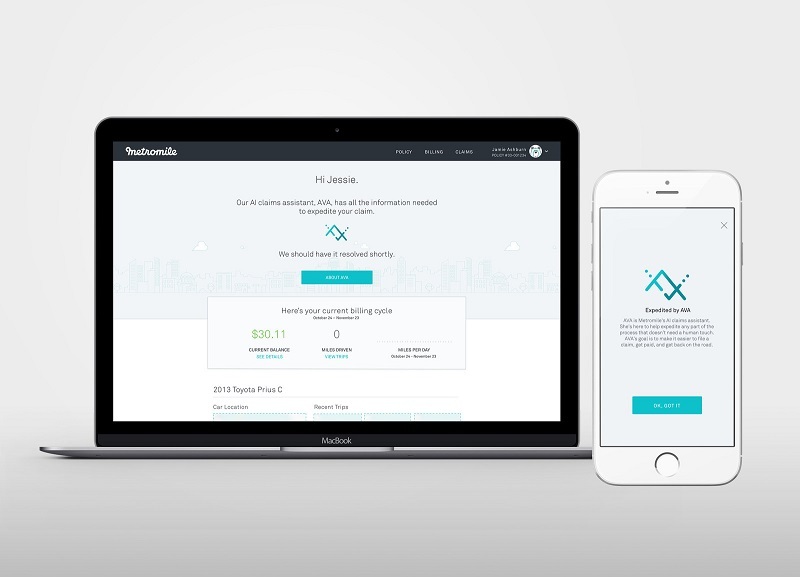 Metromile’s latest tech addition enables an automated claims experience. At the time of an incident, data captured by the app and the dongle is used by Metromile to settle a large number of claims. Many of them automatically and instantly. They can do this because they are not waiting on a claims adjustor to collect information to support a claim. Instead, through the customer’s Pulse device, Metromile is able in many cases to verify and validate a claim without human intervention. In these scenarios, there is no reason to not pay a claim instantly. The turning point for Metromile came about a year ago when they became a fully licensed carrier. Dan told me, “We’ve been handling claims in-house for about year now. In that time we’ve launched AVA, our AI claims assistant and the most exciting product launch to-date at Metromile! We wanted to create a different experience for customers, one that was different to the traditional experience, with much less friction for customers. “For the customer, all they want is to get back on the road. But for the traditional carrier, they won’t settle until they’ve got all the evidence that they need to justify the claim. In the traditional claims experience, often the problem is that the carrier only has the word of the customer to go on. Trust isn’t very strong in this relationship and the result is that it takes time. “With Metromile, the Pulse can verify what the customer is telling us. Our tech can verify facts such as speed and location and time. The customer doesn’t need to provide this data because we already have it. This leads to instant payout or for the Metromile app to organise the repair and servicing of the vehicle.